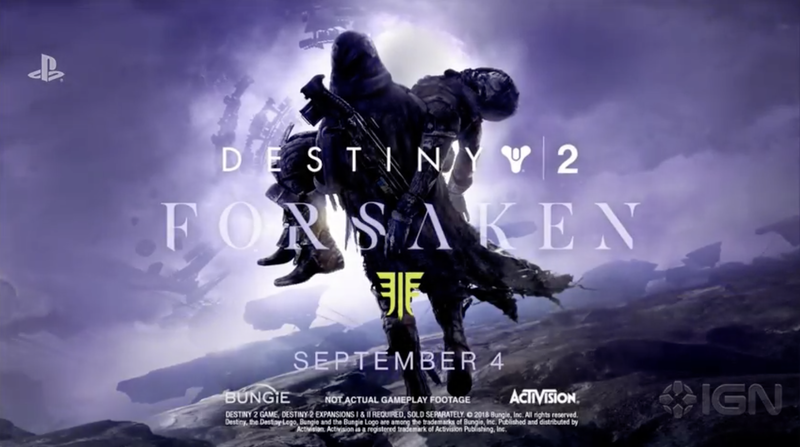 Destiny 2: Forsaken – Legendary Collection will feature an all-in-one experience, offering players access to all of Destiny 2’s premium content and updates to date in one place, available on PlayStation 4, the Xbox One family of devices including Xbox One X, and PC. The PC version will be available exclusively on Battle.net, Blizzard Entertainment’s acclaimed online-gaming platform. In Forsaken, players take justice into their own hands as they pursue vengeance for fallen mentor, the Hunter Vanguard Cayde-6. Over the course of this adventure, players will have the opportunity to explore new regions, unlock new abilities, earn a wealth of powerful new weapons, and discover lost Awoken secrets. Players who pre-order Destiny 2: Forsaken – LegendaryCollection today will receive a suite of special rewards to commemorate the last stand of one of the most memorable characters from the game. Cayde’s Exotic Stash pre-order bonus includes a unique exotic weapon ornament for his iconic Ace of Spaces hand cannon, Cayde’s ship, an exotic gunslinger-themed emote, and shaders of Cayde to decorate any piece of armor with his colors. Destiny 2: Forsaken – Legendary Collection and Destiny 2: Forsaken – Complete Collection are rated T for Teen by the ESRB. Destiny 2: Forsaken – Complete Collection will be available at a suggested retail price of $99.99. At launch, PlayStation gamers will also get access to exclusive content for Forsaken, which includes an exclusive ship, an exotic weapon, armor sets, and a Strike, all timed exclusive until at least Fall 2019.